Welcome back. Did I ever tell you about the talk radio show I listened to during my drive from Virginia? That was two or three years ago after I’d gotten our old house ready for sale and was heading to our present home here in Wisconsin. Prior to that trip, I’d always driven with Vicki and we never listened to the radio. I had probably reached Indiana when I tuned in a show I initially thought was a satire. Nope, the host’s discourse and conversations with callers about black helicopters, weapons and the government breaking down doors were serious. I wasn’t shocked or unaware of such shows; I’d just never heard one. And it’s not that I was new to conspiracy theories. My first was in the early 1960s--fluoridation of public water supplies was a communist plot. 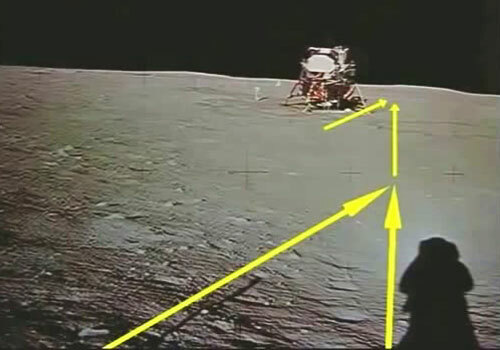 the Apollo 11 moon landing was fake. The first time I realized that otherwise rational people could buy into a conspiracy theory was when the fellow who worked in my father’s store told me the 1969 moon landing wasn’t real. My exposures grew, especially following Kennedy’s assassination. For sure, the number and variety of conspiracy theories have gone out of sight with the Internet. What a rich topic for research! How about if I sample a few studies? There’s a recent report from the Netherlands Institute for the Study of Crime and Law Enforcement, VU University Amsterdam and Otterbein University, Ohio, on why people believe in conspiracy theories. Noting that conspiracy theories often arise during times of uncertainty or fear, the collaborating researchers conducted two studies. For the first, they divided 119 participants into two groups. One group wrote down times they felt in complete control; the other group recorded times they felt they were not in control. The researchers then surveyed both groups about a local incident, which many people believed was the result of a city government conspiracy. Participants who had written about feeling in control were less likely to accept the conspiracy theory. For the second study, the researchers analyzed data from a U.S. national survey conducted just prior to the year 2000. At that time, because of the common practice of truncating a 4-digit year to the last 2 digits, there was apprehension about the change from 1999 to 2000--would 2000 be recognized as 1900?--the Y2K millennium problem. Although the potential problem was recognized and being addressed, it spawned any number of conspiracy theories. The analysis revealed that the more people feared Y2K, thinking it was a conspiracy, a societal threat to control, the more likely they were to believe in conspiracy theories unrelated to Y2K. Together, the two studies highlighted the fundamental relationship between the need for control over one’s life and the tendency to accept conspiracy theories. As suggested by the Y2K study, conspiracy theories can form a monological belief system: Once an individual adopts a conspiracist worldview, it’s easier to embrace new conspiracy theories if only because they support that worldview. A study published a few years ago illustrated how the attraction of conspiracy theories can be so strong it leads to endorsing entirely contradictory theories. 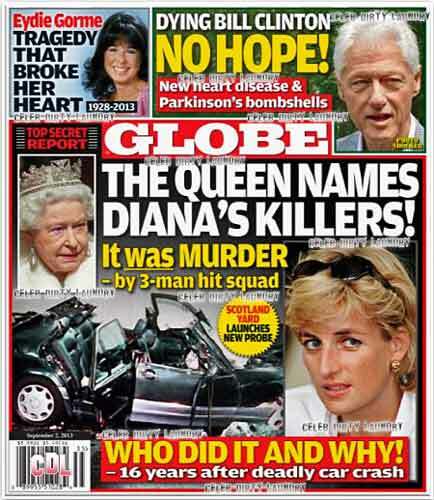 Investigators from the UK’s University of Kent surveyed 137 participating students about the death of Princess Diana. 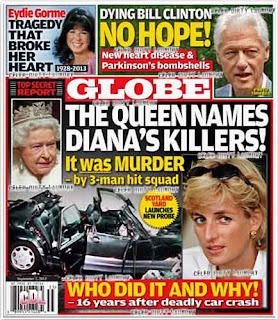 The more participants believed there was an intelligence-service campaign to assassinate Diana, the stronger was their belief that she faked her own death to go into isolation. To confirm that such inconsistent beliefs were due to suspicion of authorities, the investigators then surveyed 102 students about the death of Osama bin Laden. Participants who believed he was already dead when the raid took place were more likely to believe he is still alive. The driver of belief in conspiracy theories does not appear to be one theory supporting another but simply support for conspiracy theories--even if the theories happen to be contradictory. There was a study on medical conspiracy theories I also thought was interesting, but I’d better save that for Tuesday. I hope you’ll be back. Thanks for stopping by.